A man in his 30s was injured in the shooting. 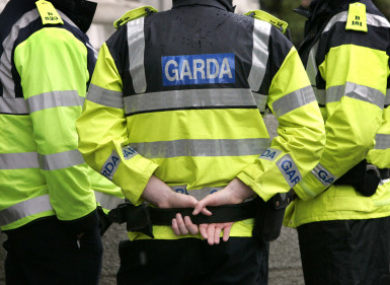 GARDAÍ HAVE SAID that a shooting which took place on Sunday evening in Dublin is believed to have involved two assailants. The shooting took place at about 10.45pm at Chaplin’s Terrace in Clondalkin with a 30-year-old man taken to hospital after the incident. The injured man was taken by ambulance to Tallaght Hospital with his injuries not believed to be life threatening. Gardaí have said that two men are believed to have been involved in the shooting and are seeking any witnesses or those who have any information on the shooting to come forward. They are also making a specific appeal to any motorists or taxi drivers who have dashcams and who were in the area at the time to contact them at Ronanstown Garda Station. Email “Two assailants sought by gardaí after shooting in Clondalkin”. Feedback on “Two assailants sought by gardaí after shooting in Clondalkin”.